Oyindamola Alaka, president of the University of Manitoba Nigerian Students’ Association. Photo by Carolyne Kroeker. As many as 50 University of Manitoba international students are facing an uncertain academic future after the Nigerian state-run agency sponsoring their education suspended services in November. The Rivers State Sustainable Development Agency (RSSDA) – which sponsors more than 1,200 students from the Nigerian state to study abroad – owes the U of M approximately $575,000 in back fees and winter 2016 tuition costs, according to numbers provided to the Manitoban by the school. According to news reports, the agency suspended operations Nov. 20, three days after employees of the agency protested the non-payment of more than seven months’ worth of salaries. The university has had no contact from the agency in more than two weeks, said a spokesperson in an email delivered Nov. 30. A report from PM News in Nigeria said the institution will cease operations until a peaceful resolution is reached in the labour dispute. In addition to its overseas scholarship program, the development agency works with local governments to improve food security and supports agricultural development, along with other initiatives. The agency made Canadian headlines in recent weeks after CBC News reported it owes more than $2.5 million in outstanding tuition fees for 246 Nigerian students sponsored at 14 Canadian universities. The University of Regina, which took in 124 students through the program last year, is owed $1.3 million in unpaid funds, more than any other Canadian university, according to the report. U of R officials told the CBC they are confident the agency will clear its debts and they expected no disruptions to the academic schedule for affected students. The U of M, however, took a harder line. Under university policy, students two terms in arrears cannot register for a third. In November, the agency paid the university $252,000, which clears winter 2015 fees. However, balances remain outstanding for summer and fall 2015 and for students already registered for winter 2016. The school has been working with the affected students, many of whom have been scrambling to cover the outstanding fees by their own means, by developing payment plans and offering extensions, said a spokesperson for the U of M.
“The university has been and is continuing to allow the affected students grace periods that other students are not granted, due to this extreme situation, to allow the students caught in this situation the time to catch up, if possible,” said the statement. Invoices are still being sent to RSSDA. When and if payment is received, students who paid out-of-pocket will be reimbursed by the U of M.
The university’s email said that while a deadline to settle outstanding fall fees to avoid de-registration from the winter term hasn’t been set, a cut-off point will be necessary, in fairness to students who have personally taken on their fees and the student body as a whole. Students dropped from registration could see their international student study permits lapse. Gift Amadi, a third-year political studies student, told the CBC he was given notice he had 30 days to clear his balance. He also noted the agency hasn’t funded his $1,100 monthly living allowance in nearly a year. 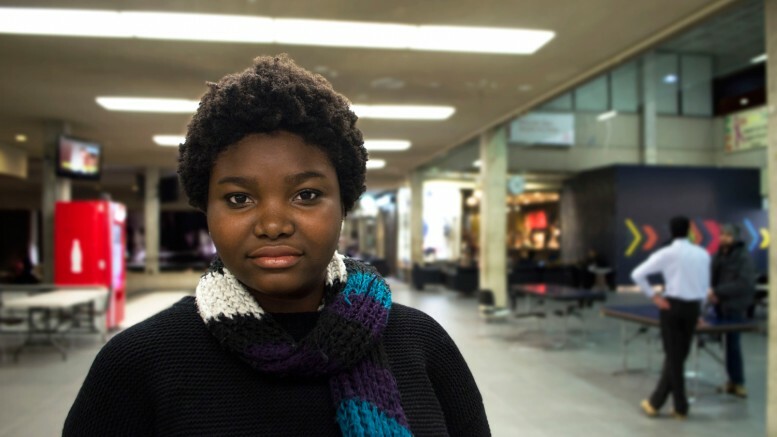 Oyindamola Alaka, president of the University of Manitoba Nigerian Students’ Association, said the university is not going far enough to accommodate the foreign students. “This agency is not really doing what it’s meant to do, and it’s not only in Canada,” she added, referring to students in the U.K. and the U.S who, she said, have also had their university funds withheld by RSSDA. The university has received tuition payments from some RSSDA-sponsored students, who as international students are charged nearly four times the going rate for domestic students. After extensive recruitment and approval processes, selected students – mostly from poor or underprivileged families – were promised post-secondary scholarships from the government-funded RSSDA. Students expected the scholarships would not only cover the full cost of university tuition up until graduation but also living expenses. However, in addition to having their tuition go unpaid by the agency, students have not received remittances for some time. The agency has withheld more than $3 million in living allowances to students at universities across Canada. Students have been getting part-time jobs or working additional hours to make ends meet. However, under the study permit program, international students can earn only a limited income. Some have received contributions from churches, as well as family and friends. Evangel Ekine, a Nigerian student in his final year of labour studies at the U of M who is studying under the sponsorship program, decried the situation that left Nigerian students to fend for themselves. Rebecca Kunzman, vice-president advocacy for the University of Manitoba Students’ Union (UMSU), said in an email statement to the Manitoban that the union was originally approached by the sponsored students in the summer of 2015 when they were unable to register for courses due to their outstanding balances. Kunzman said UMSU has directly supported the students with hardship funding, and connected them to resources to assist them with managing their finances. She said they are working with students to negotiate with the university to come to a fair resolution to address their situation. She said the students’ union will propose a motion calling on the agency to resolve its outstanding balance to the university at its next regular council meeting Dec. 3.